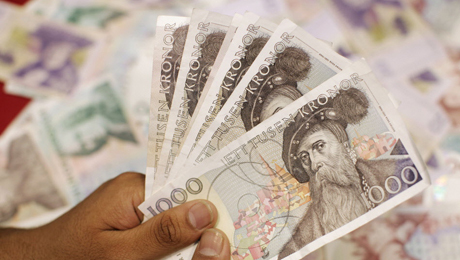 Will Sweden Follow Switzerland’s Lead by Adopting a Currency Floor? Recent interest rate cuts by the European Central Bank may push Sweden’s central bank to limit the krona’s appreciation. 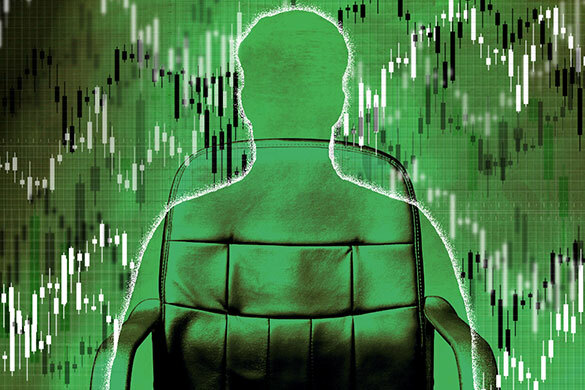 When European Central Bank president Mario Draghi announced a package of interest rate cuts in early June, traders said they expected the euro to decline in value over the coming year against a large basket of currencies. One currency that bounced briefly higher was the Swedish krona, raising the question of what tools non-euro countries might use to keep theirs from appreciating too much in the event of a major euro decline. Draghi cut interest rates by 10 basis points, leaving the deposit rate in negative territory for the first time. He also introduced new liquidity programs designed to spur bank lending and left the door open to adoption of an asset-buying program like the Japanese quantitative easing that drove the yen down by 25 percent last year. We arent finished here, Draghi told reporters. I think there will be an initial weakening of the euro, and it actually goes in the direction of Japans decline, says Hans Redeker, global head of forex strategy at Morgan Stanley in London. Redeker says three forces are working against the euro: speculative flows; U.S. money market funds, which are heavily invested in European banks and may reduce those holdings because of the lower interest rates; and decoupling from other interest rate incentives. One-year forwards show the euro trading at $1.18, he notes. It stood at $1.37 in early June. Daragh Maher, currency analyst at HSBC Bank in London, believes the Swedish currency, nicknamed the stocky, will rise in value as the euro falls against most other currencies. HSBC is predicting a euro decline at year-end to $1.28, a 6.5 percent fall. If that happens, Maher believes Sweden will have to resort to unusual action. The benchmark Swedish interest rate now stands at 0.75 percent. If the stocky were to strengthen against the euro, they have to start looking at options other than interest rates once theyve cut to zero, and thats where a currency floor comes in as a candidate, Maher says. 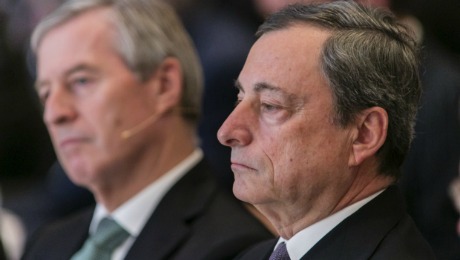 A rate cut would be no match for the ECBs printing presses, he contends. 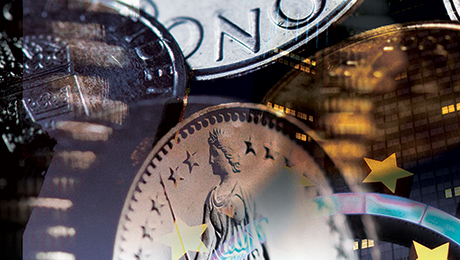 Currency floors, which governments use to limit appreciation while permitting depreciation, have been gaining popularity in Europe in recent years. In September 2011, Switzerland put a floor under the franc at 1.20 to the euro, a position its held with conviction ever since. The Swiss National Bank said in a statement last year that the floor prevents an undesired tightening of monetary conditions were the upward pressure on the franc to intensify once again. ?The markets take the Swiss seriously: ?The central bank hasnt had to intervene to protect the floor in almost two years. Last November the Czech Republic followed the Swiss move, threatening to intervene in the currency market if the koruna strengthened. Switzerland was primarily concerned about stemming a flood of capital inflows that threatened the nations industry, whereas Swedens problem is more focused on deflation. The country has experienced mild deflation for the past year or so, prompting the Riksbank, its central bank, to talk the krona down. A fresh rise in the currency versus the euro could aggravate the deflation threat, given that about 50 percent of Swedish imports and exports are with the euro zone. In addition, HSBCs Maher points out that debt in Sweden is 170 percent of disposable income; that money becomes harder to pay back when negative inflation makes debts bigger. But Henrik Unell, senior fixed-income and forex strategist at Nordea Bank in Stockholm, says he doubts that krona appreciation will be a problem in the short term. Unell reckons that the Riksbank would like to see the krona strengthen from the 9.07-to-the-euro level that prevailed after ECB president Draghis recent speech to roughly 8.70. Swedens central bank will probably trim interest rates from the current 0.75 percent to about 0.45 percent at its next meeting in July and make another cut in October, he says. If the krona starts appreciating too strongly, Unell thinks the bank could also adopt its own program of quantitative easing, as it did in 2010, when it bought $33 billion worth of ?bonds. Get more on foreign exchange.